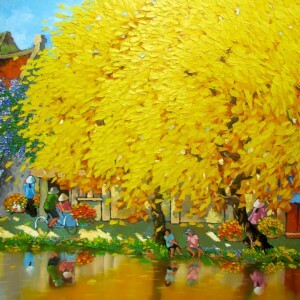 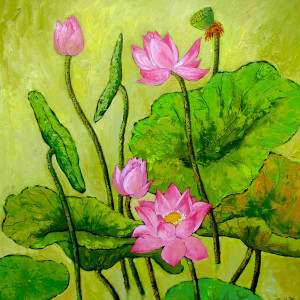 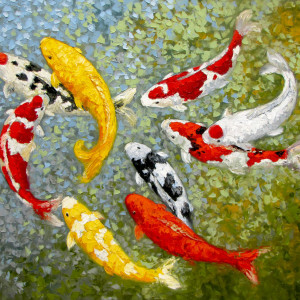 Art is a gap, through which we keep in touch with Nature. 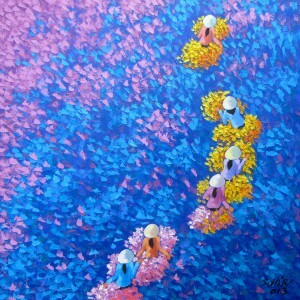 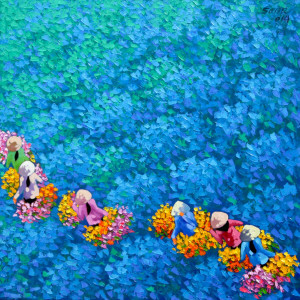 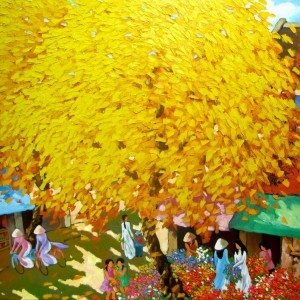 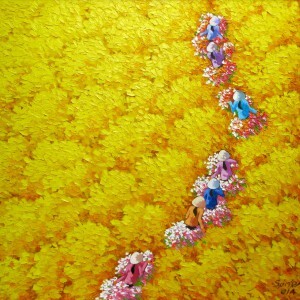 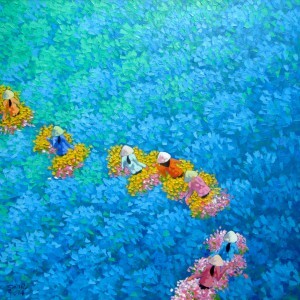 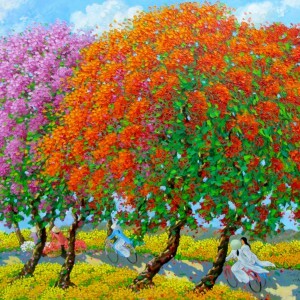 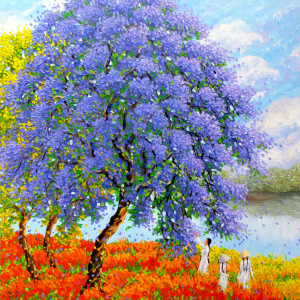 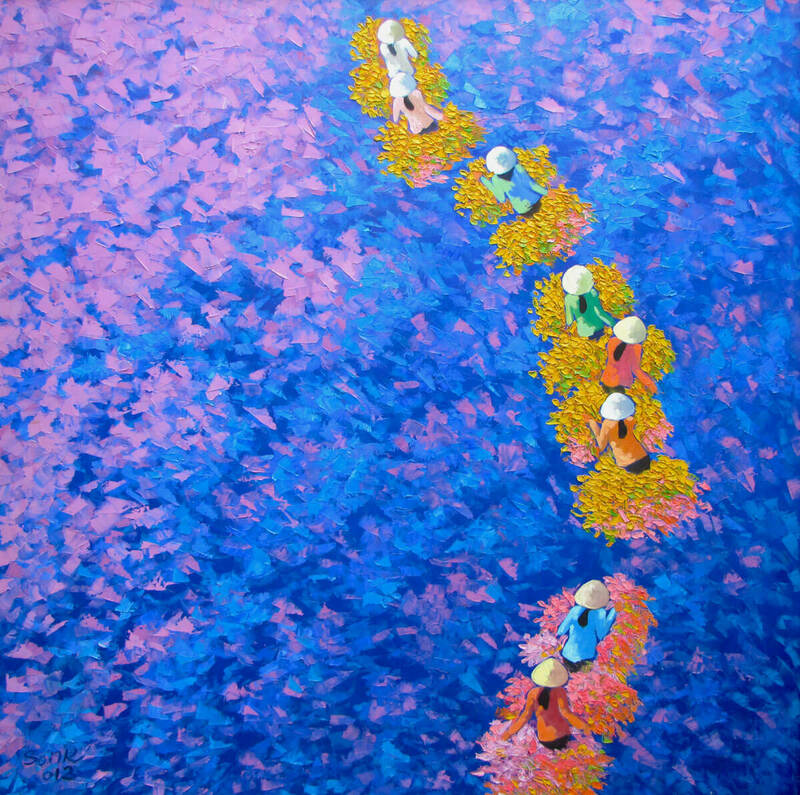 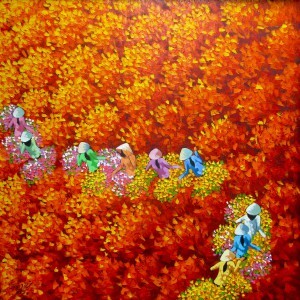 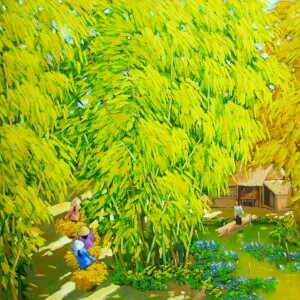 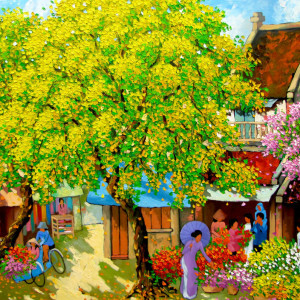 This painting by Asian artist Duong Ngoc Son depicts a woman in non la (traditional Vietnamese conical hats) heading through the intensively purple flower field. 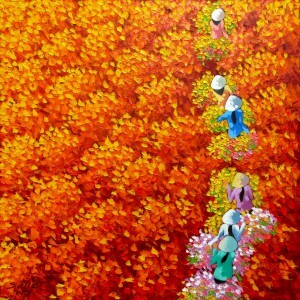 The artist transforms an everyday life scene into an elevated piece, reminding us the importance of appreciating our roots.